McAfee just listed all of their 2015 products on sale for up to 50% off this month! Save from 30% to 50% off on their top three best selling computer security programs from the official McAfee Store. Just follow the above link to apply the discount and it will take you to their sales page where you can choose from Antivirus 2015, Internet Security 2015, Total Protection 2015, or All Access 2015. Best of all, all active subscribers will be able to upgrade to the equivalent 2016 version once it’s released. Sale prices are expected to last up until the end of the month. Just note that there is a limit one per order customer/household. If you’re paying more than $25/year on your antivirus software each year then you’re paying too much. Just about all of the latest computer security software versions from McAfee are on sale at Amazon for up to 70% off (or more!) the list price. 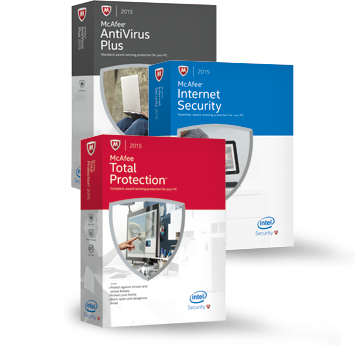 The best current deal we found was on a three license pack of McAfee Total Protection for just under $21.59 (the list price is $79.99). You can also score a good deal on Anti Virus Plus or Internet Security as well. Most versions qualify for Amazon Prime so they ship for free as long as your total order is above $35.00. Prices will vary and can change without notice to us so be sure to visit their store for full details. And best of all, if you buy any 2015 version then your upgrade to the 2016 version will be free! Prices may vary and end without notice. If you’re an existing McAfee user looking to either renew your existing subscription or expand protection onto new computers, then be sure to visit McAfee’s renewal center. They offer special discounted pricing to existing customers at rates up to 40% off the regular price. They will also have special un-advertised deals based on your purchase history. To see what’s available for you, just log-in to your existing McAfee account to see the full offer details. 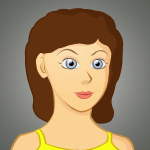 Because these are customized offers, sale prices will vary by person. Available for current clients only. available at your local store. If you have a slow internet connection and would simply rather pick up a copy of McAfee computer security software at your local store than download the software or wait for the box to arrive in the mail, then you too can get a great deal. Many of the most popular software resellers, like Staples, Office Max and Best Buy have “low price” guarantees in place. So even if it’s not on sale, show the store manager that you’ve found a lower price here on Software Voucher and they should match it on the spot. Of course there are limitations to this offer and it will vary depending on the store that you visit so we suggest that you learn more and read up on the terms and conditions for all of the latest details. In military service? Get it free! If you or someone you love are in active military service, then be sure to take advantage of the free military deal from McAfee. They are offering those who qualify a free two-year license of Internet Security (normally retails for $49.99). All you have to provide is your military-issued “.mil” email address at the time of activation. We’ve pulled together a full article about this offer and how to take advantage of it so be sure to follow the above link to learn more. Must be in active military duty to qualify. If you’re still going through the selection process trying to figure out the perfect balance between the best computer security software and the lowest price available, then be sure to try out McAfee before you buy it (your problem of getting the best deal is solved as we track all of the best selling programs here on Software Voucher!). In the case of McAfee, as long as it hasn’t been installed on your PC before, you have a full 30 days to download any of their titles and test it out for free for 30 days. Be sure to run any file and hard drive scans to clean/quarantine your system as it won’t cost you a penny. At 30 days from the date first installed, the trial license will expire and you will have the option to either purchase an annual subscription or uninstall the software. When will the 2016 version of McAfee become available? We're watching all of the latest McAfee news and rumors here on Software Voucher! Look for McAfee to release all of their 2016 versions in early September, 2015. Based on an announcement last year, it's possible Intel will rebrand McAfee's consumer line into "Intel Security" (Intel purchased McAfee a few years back). And, as always, we will be updating the new promotions as soon as the new version is released and on sale.